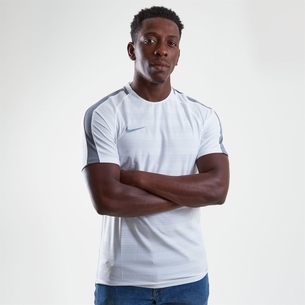 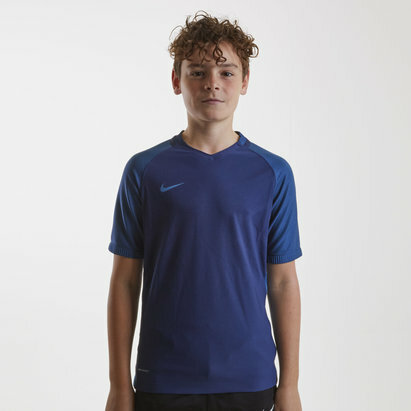 Stay feeling fresh in training out on the pitch or even as you exercise in the gym with the Nike Dry Squad Short Sleeve Football Training Top in Light Photo Blue and Binary Blue. 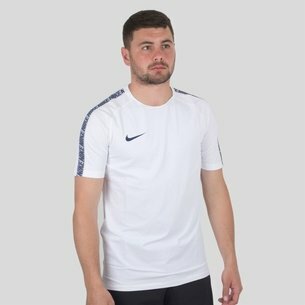 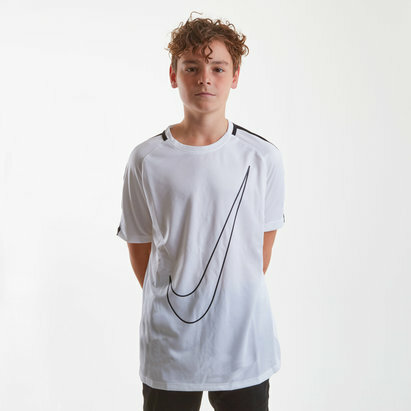 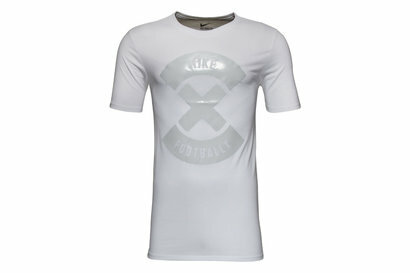 This short sleeved training t-shirt from Nike has a simple yet sleek and stylish design that features the iconic Swoosh on the chest. 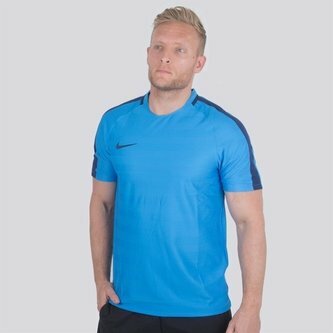 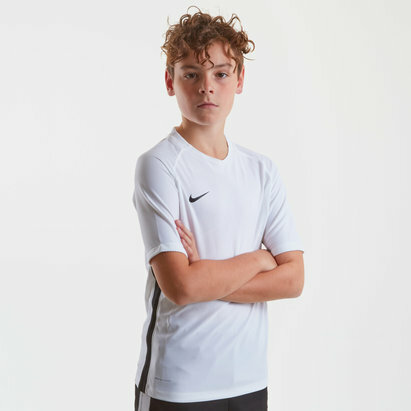 Made from a lightweight polyester material, Nike Dri-Fit technology within this training top helps ensure the wearer stays feeling cooler, drier and more refreshed when in action by wicking sweat away from the skin and quickly evaporating. 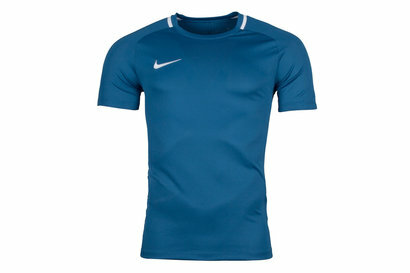 A mesh back also helps increase air circulation to enhance the cooling effect.